Military kayaking adventures for fundamental skills development, transferable to tasks on duty. Our kayak adventure training packages are designed to test strength, paddle endurance and navigation proficiency whilst supporting the development of new, convertible skills. 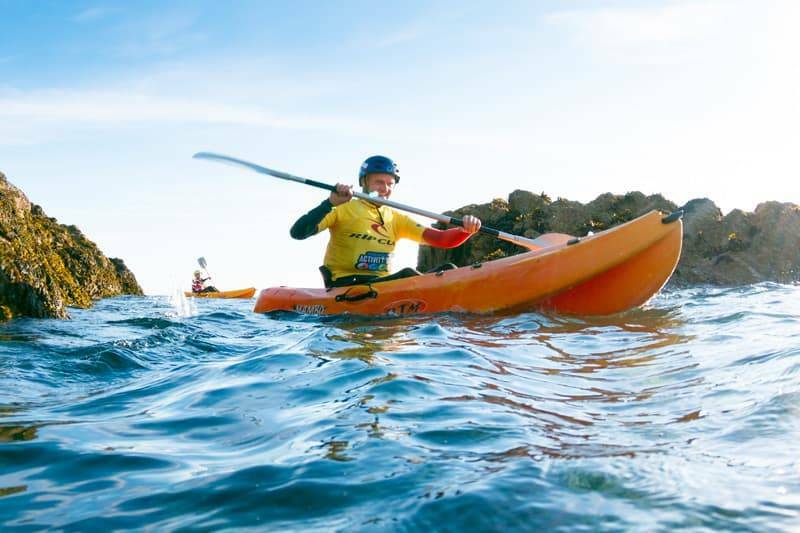 Newquay Activity Centre offers tailored kayaking adventures for military personnel to challenge, revitalise and energise teams alongside their regular duties. Under the leadership of our professional kayaking instructors, your groups will be tested on their navigation skills, triangulating courses along Cornwall’s dramatic coastlines to efficiently hit the target whilst in unfamiliar territory. The marine terrain will include huge sea caves, craggy rock sections, wild marine life and old shipwreck sites, providing a challenging but scenic backdrop for unique military adventure training. Our team will work with you to develop the best adventure-training package for your troops to boost confidence and build skills in different environments. Newquay Activity Centre in Cornwall is a certified Surf England Centre of Excellence and notorious provider of military adventure activities. You are guaranteed the highest quality tuition in the industry with our professional team of instructors. Call our friendly bookings team today to book your adventure training programs on 01637 877722, lines open from 8am-10pm. On booking, you’ll also receive 10% off our other outdoor activities. Bring towels and swim wear to wear underneath wetsuits.